It’s been six weeks since I quit my job to become a published writer, and I’m finally taking the plunge and submitting to publishers! But how do you know it’s time to submit your manuscript? After my first submission, I learned that there are some necessary steps to follow before you should hit send. And most will be the reason why your manuscript does or doesn’t sell. Let me share those secrets with you. 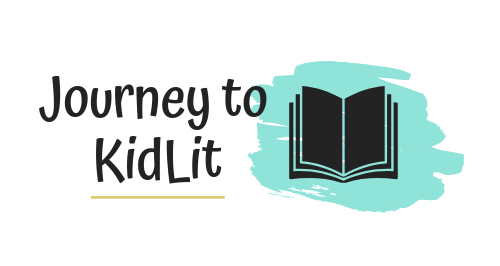 Sending your manuscript to agents and publishers is like sending your kid to school for the first time. But how do you know when you submit your manuscript that it’s going to sell? The easy answer is you don’t. And the good news is you can still prepare for the yes. 1. Have it Reviewed by Your Critique Group or a Professional. I’ve been meeting with the same ladies for almost four years. They’ve seen anything from my really rough drafts to my fully polished manuscripts. And all of their input has been undoubtedly valuable. Even if you don’t have a critique group that will put eyes on your writing regularly, it’s better to have a once over with some people that know the industry, rather than only your or your mom (who thinks you do amazing at everything). Should you pay for an editor? If you have the money in your budget, and want to put forth the additional expense. If you don’t know any writer’s groups or critique partners (Even online) that can read your work. If you’ve been published for a while and you want to skip going to group activities. Using a professional isn’t a bad idea, but you need to make sure they’re a good one. Anyone can say they know how to proofread manuscripts, but don’t understand the children’s market. Check reviews and try to get trusted referrals BEFORE making any decisions. 2. Research a List of Potential Agents or Editors to Send to. A great resource for a full list of publishers and agents! When I decided to submit this last time, I created a list of the top 50 agents that I was interested in working with. Some of these were from large houses and some were junior agents that were looking to grow their list. But all specialized in solely selling children’s books. The number that you submit to doesn’t matter, so long as you’re doing your research. 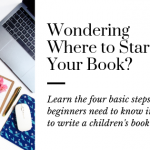 Although, since the industry is so subjective, you should have a substantial list of potential agents or editors that you want to show your writing to. Plus all their contact information! 3. Follow the Strict Guidelines for Each Submission. One of the biggest pet peeves that agents mention when asked about submissions is when writers don’t follow the guidelines. Especially because they’re listed on their site. 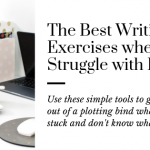 This sounds easier than it is, but it’s easy to forget tiny details when you get in a groove. And they’re SUPER important to follow. Some agents want 5 pages, others want 10. Some want it copy/pasted in an email, others want it mailed. You need to READ! Check out these other articles to help you find an agent and write a successful query letter. What to do After You Submit Your Manuscript? 1. Create a log to keep track. If you’re offered representation or publication, you can follow-up with others that you’ve sent to, in order to get the best offer for you. 2. Start working on something else. Nothing is worse than watching paint dry, hovering over a hot stove until the water boils, or waiting to hear back from a submission. Instead of waiting for a response, start working on your next project. A-it’ll take your mind off of things and B- it’ll give you something else to sell in your career as a children’s author. Also–it takes a while to hear back from a lot of people and others may not respond at all. I have a story I’ve been working on for four years, and I’m still not sure if I’ve gotten it right. But I really love my characters and believe in the story–no matter how many forms it takes. However, if I’ve sent it to some 50+ agents and haven’t heard a yes or even a “this is great, but not for me, keep going” email, then I need to look at my submission. My pitch might not be working–how I sell the story could be falling flat and no one even makes it to my writing. However, if I’m getting a lot of rejections off my query, instead of no response at all, it could be my story. That’s when I’ll consider editing or rewriting parts or all of my draft. Completely up to you, but it’s worth considering. One of the biggest mistakes after you submit your manuscript is giving up too soon. 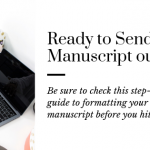 It takes a while to sell a manuscript, but if you follow these steps, you’ll be better prepared to be published. Have your manuscript reviewed, research who you want to send it to, follow their guidelines, and keep track of submissions. Time to Submit Your Manuscript! I especially liked your advice in keeping track of submissions! Thanks so much Jamie! 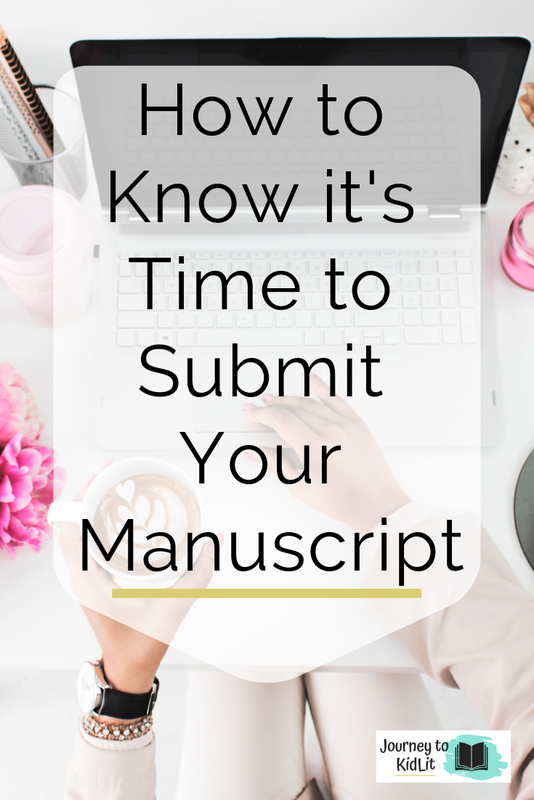 It’s so helpful, especially after you’ve been submitting for a while or want to resubmit/follow-up with an agent or editor.